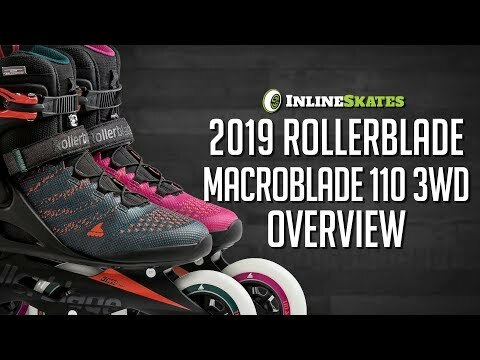 Taking your skating experience to the next level with the Rollerblade Macroblade 110 3WD Inline Skates. These skates feature 110mm wheels and SG9 bearings that are going to give you tons of speed with less vibration, thus giving you a smoother ride than ever before while provided extra durability. 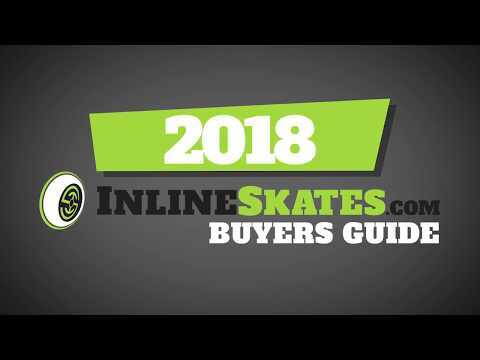 These skates features the Rollerblade 3WD technology that will let skaters enjoy an easier, longer and smoother skating session with awesome control. 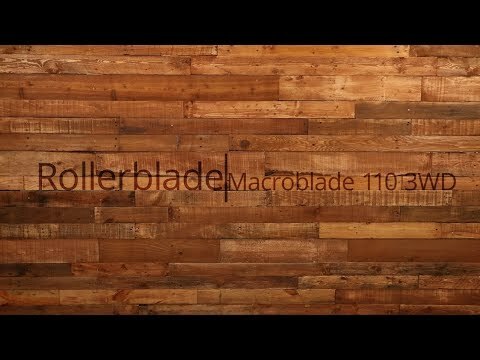 The Macroblade 110 features knit technology that lets your feet breathe during long skating sessions so they stay comfortable and dry and the material will shape to your feet to keep the skate lightweight and comfortable. The Macroblade 110 features an aluminum cuff buckle, 45 degree straps and laces that will give you the secure fit you desire. Q: What is the weight of one skate? Also I want 3 wheels for more outdoor terrain. Will I be able to keep going when I hit a dirt patch or sand? I'm tired of little pebbles on the road locking up my wheels and having to stomp them out while moving. A: Weight of a single skate without the brake is 1596 grams. The 3WD and larger wheels will make it easier to run through some debris but I would still steer clear when possible as the debris could stiff damage the wheels and bearings. I skate with a similar model in the men's line and really like the 3WD and large wheels and have found they do go over debris quite well when they have to. Q: I have these already but I'm wondering if I can get smaller wheels? The brake doesn't stop the 110 mm wheels. A: Sure, I personally wouldn't go any smaller than 90mm or it may get weird. With too small a wheel it will make turning a bit more difficult. Q: Can you add a brake to these? If so, is there a link to the parts needed? Thanks. A: There is a brake included with these skates, it's just not in the picture. Q: I'm a man and want to buy the men's version of these (which are red), but I prefer the color for the women's skates (which appear to be turquoise and orange). Are the women's skates exactly the same as the men's skates? If so, I would consider buying the women's skates, even though I am a man. A: There is a difference in the fit between a men's skate and a women's skate, women's skates are going to cater to a woman's foot shape and will be narrower with a lower cuff in the back to accommodate a woman's lower calf muscle. Unless you have a uniquely narrow foot than I wouldn't recommend going with the women's skate based solely on aesthetics although I totally agree this skate looks great. If you do go with a woman's skate you will want to go up one full size from your shoe size so if you wear a size 9 you will want to get a size 10 skate.